On Thursday 29th November, the winner of the 1st ESU Chile Teacher Award was announced, with Cindy Cifuentes from Windsor School (Valdivia) becoming the first winner of this award. ​The ESU Chile Teacher Award is part of ESU’s International Teacher Award initiative, which celebrates the work done by teachers across the world to develop their students’ oracy skills. 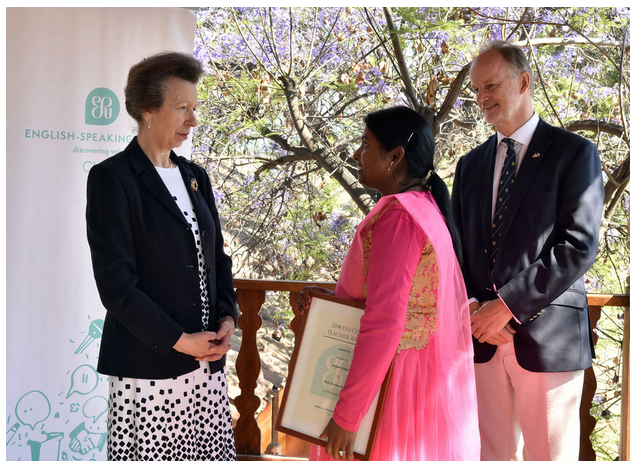 ​The Award was presented by Her Royal Highness The Princess Royal at Casas de Lo Matta, at a ceremony attended by over 60 teachers, students and school heads. ​We would also like to congratulate the 2 runners-up for this year’s award: Michelle Crosbie (Nido de Águilas) and Neeladevi Chatta (The Wessex School – Concepción). 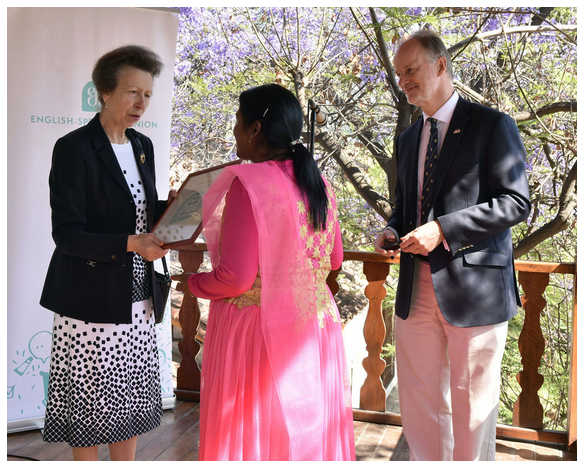 Together with Cindy, their amazing work and dedication has had a positive impact on a huge number of students, both in their classroom and beyond.